Real estate prices are on the rise all over the world, and it is no surprise that more and more homeowners are keen to explore options which are more affordable than conventional houses. 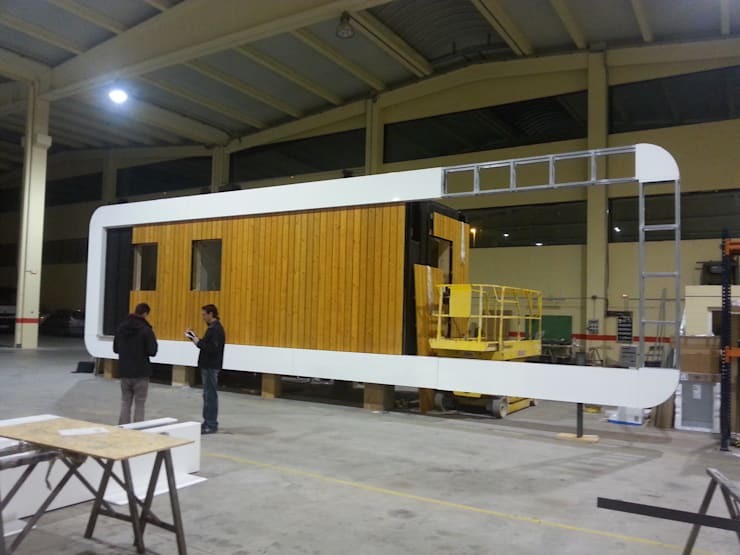 As a result, there are a growing number of individuals who are ready to give prefabricated homes a shot owing to the low cost of building, assemblage and maintenance involved. These shelters also boast environmental sustainability, are eco-friendly, and can be customized to suit your specific needs and preferences. So today, we will explore the different aspects of one such home which is simple but chic, comfortable and extremely functional at the same time. 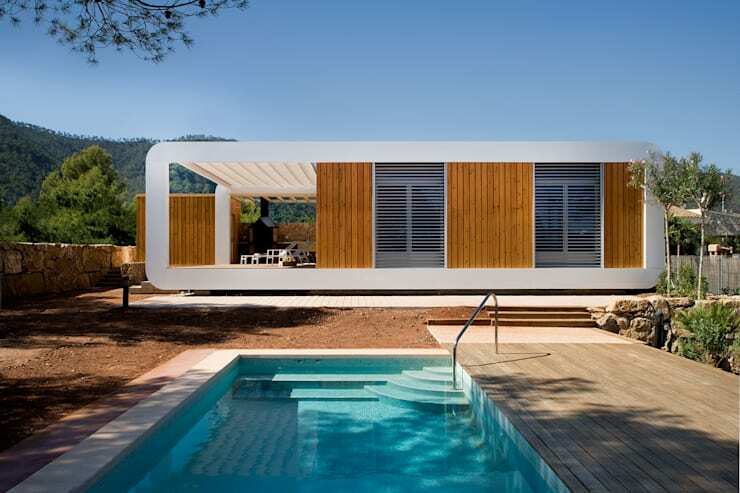 Set in vibrant, upbeat and culturally rich Barcelona, Spain, the home building team at Noem successfully created a prefabricated structure called El Refugio Inteligente – 'the smart shelter' – with a wonderful sense of style within a tight deadline of only ten weeks! Read on to know more about it. This construction site is a far cry from the ones that a person usually gets to see in bustling urban cities. The house in question was assembled and put together with expert precision and energy efficient elements in a factory. Dyes that are safe for the environment in terms of emissions, and natural wood helped in creating the main shell. Natural materials like wool and cotton were built into the sandwiched walls to create insulation, which slash energy footprints and costs to a great degree. The façade celebrates a simple yet modishly futuristic design scheme, and delivers quite a punch with its soft wooden hues and white curvy frame which holds the home in its elevated status. A small lap pool in front makes for a relaxed setting, ideal for enjoying the natural delights surrounding the property! 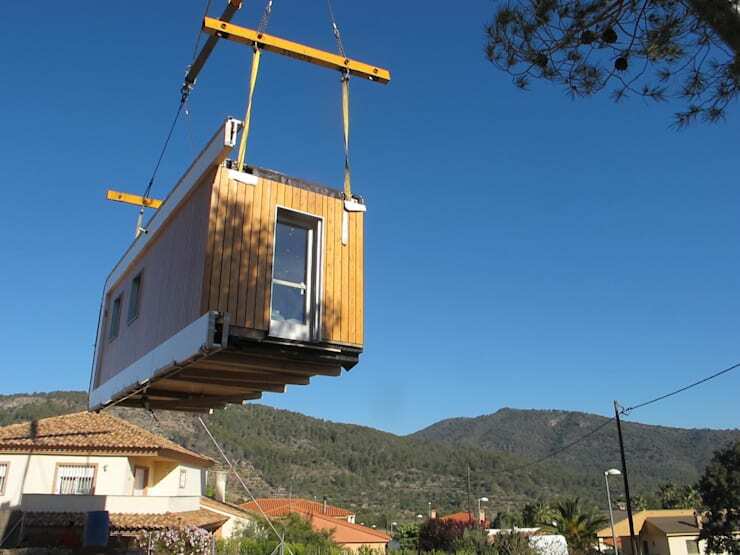 This picture pretty much sums up the sheer convenience of building a prefabricated house. While the actual building happened in a factory, the placement was a smooth process that was done with the help of a crane. It might also interest you to know that such homes can be transported from one place to another when the owner shifts his or her location. The home is built with plenty of natural wood which makes it an eco-friendly place to reside in. The use of mixed media also accentuates the beauty of the design and structure of the abode. The various other materials used include metal frames and three types of wood as well as solar panels to create energy in a renewable manner for electrical needs. The abundance of wood contributes to the aura of warmth and coziness engulfing the structure. 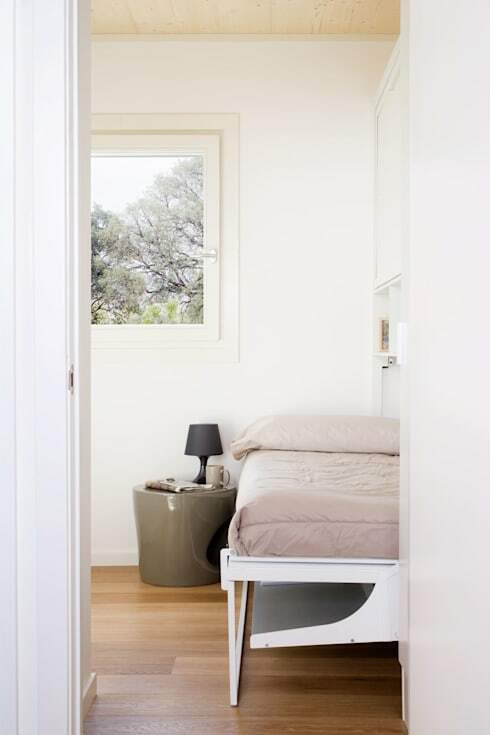 The bedroom is a simple and contemporary space that is marked with simple furniture and soft pastel and wooden hues. The white canvas enhances the spaciousness and brightness of the room, while an intelligently placed window allows you to soak in the natural beauty outside. The games room is a wooden wonder with pale wood sitting pretty in the space. The open and slim shelves make a practical statement with their simple contents while the drawers keep the less aesthetic items out of sight. The trendy blue pool table with its matte finish frame tempts you to take on a game or two, while you enjoy the view through the glass windows! 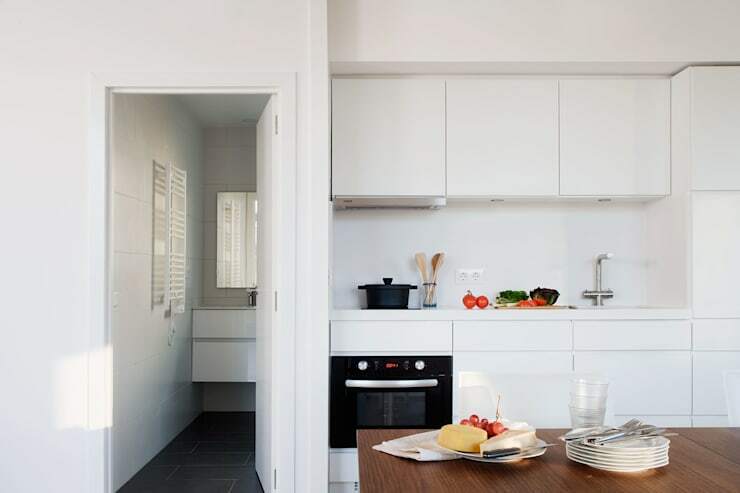 Glossy cabinets, a soothing white palette, and the sleek beauty of modern appliances fill this kitchen with the true joys of cooking yummy meals. A hardwood kitchen island makes for a chic yet understated look. And most importantly, it is evident that organisation and functionality have been focused upon without losing sight of visual interest. 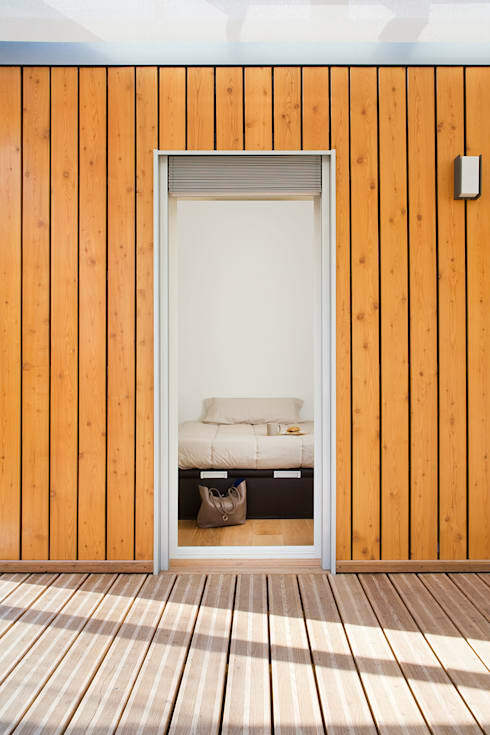 Who would have thought that a simple and usually underestimated prefabricated home could pack in so much of style? But that is precisely what this simple, charming and eco-friendly home has done with its soothing designs and sensible decor! Take another home tour if you are looking for more ideas - Grand design meets family home.